Who's looking at your website? 2. What pages, products or services were they interested in? 3. Where did they come from (Google, mailshot or other)? Want to know about how the GDPR will impact website visitor identification services. More importantly, IPFingerprint will identify the businesses that are looking at your website. 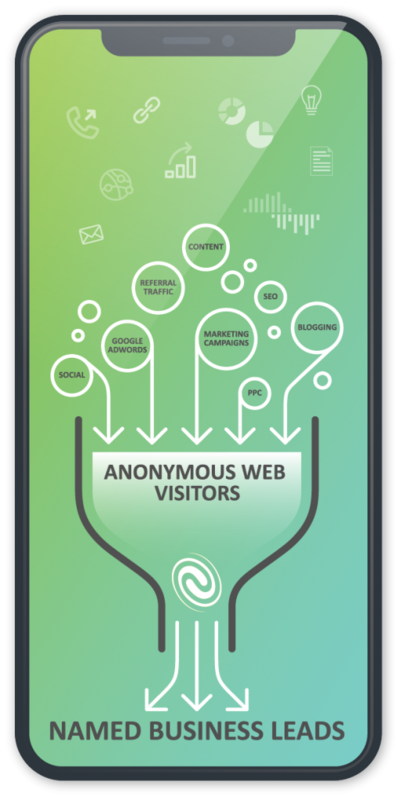 You’ll have full access to all features, unlimited users and real-time visitor lead data. IPFingerprint is web intelligence software that gives you the power to convert unknown web visitors into business. IPFingerprint will identify the businesses that are looking at your website and it will tell you the pages, services or products that they are viewing. It will tell you how these visitors found your website and, if via a search engine, which phrases they used to get there. It will lead to more business even without increasing your marketing budget! Lead generation – by identifying businesses silently flowing through your website that wouldn’t otherwise be on the radar. Maximise ROI on inbound marketing – by converting more of the traffic you’ve worked so hard to attract. Higher ROI means higher budgets granted. Use Lead Score filters – to deliver the right lead data to the right individual and teams with geographical remits. CRM Integration – for instant and automated CRM lead capture. Empower and motivate sales teams – by enriching new business pipeline with higher-potential leads taken straight from your traffic. Get a grip on Google Ads spend – by leveraging search-phrase tracking to identify your cash-cow phrases while eliminating excess spend on disused phrases. Depend less on data providers – by becoming more data self-sufficient.